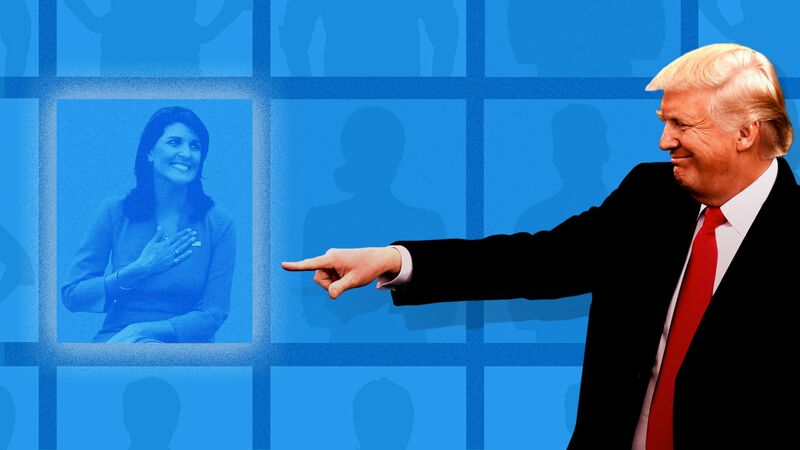 The bottom line: The key is that Trump sees hiring as casting, so it's clear why Haley became such a high-profile member of his Cabinet — with him praising her yesterday, during her Oval Office departure announcement, for making it "a very glamorous position." He constantly polls people around him, crowdsourcing from a wide range of people who "may or may not have any expertise, knowledge or insight into that particular position," said a source close to Trump. People in the "they don't need him" category: former economic adviser Gary Cohn, Commerce Secretary Wilbur Ross (initially) and former Secretary of State Rex Tillerson (initially). To be clear, the president loves what Grenell is doing substantively, according to sources with direct knowledge. Trump particularly enjoys it when Grenell announces that yet another European company has stopped doing business in Iran in order to comply with U.S. sanctions. Grenell was also a key player in one of Trump's other favorite recent moves: Deporting a 95-year-old former Nazi from New York City back to Germany. Be smart: The former senior administration official said, "It is in conflicts and rivalries between his advisers that Trump feels (and is) most in control."